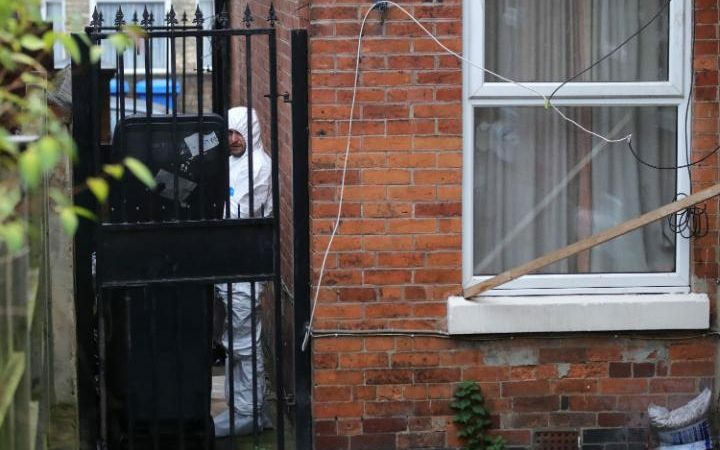 Police have foiled an alleged Islamist terror plot in the UK after raiding a suspected bomb making factory in the East Midlands. Six people were arrested when counter-terrorism officers swooped on addresses in Derby, Burton upon Trent and London in the early hours of Monday morning. Bomb disposal experts also attended one property amid fears that the alleged plotters were storing chemicals and other explosive materials ahead of a planned attack on a UK target. Five men, aged 22, 27, 35 and 36 and a 32-year-old woman were held and were being questioned on suspicion of engaging in the preparation of an act of terrorism, while six addresses were being searched for evidence. Security chiefs ordered the raids after receiving intelligence that a terror plot was being planned in the East Midlands region. Police confirmed the arrests were all linked to "international related terrorism" and it is thought they were inspired by Islamic State in Iraq and the Levant (Isil), which has increasingly sought to export its murderous tactics to Britain. The first arrest took place on Sunday night when a worker at a chicken factory was arrested at a warehouse in the Ashbourne area of Derby. Workers at the Moy Park Poultry factory described how armed police had stormed into the unit and detained the worker, who was described as "popular but quiet". One fellow worker said: "It's incredibly shocking to come into work and here about the arrest. This is just a normal factory. We have seen CCTV footage from it happening last night. "Everybody at the factory is talking about it. The CCTV shows him being held down on the floor. It's even more shocking because the man is a really nice bloke. Everybody likes him. He works hard and just gets on with it." 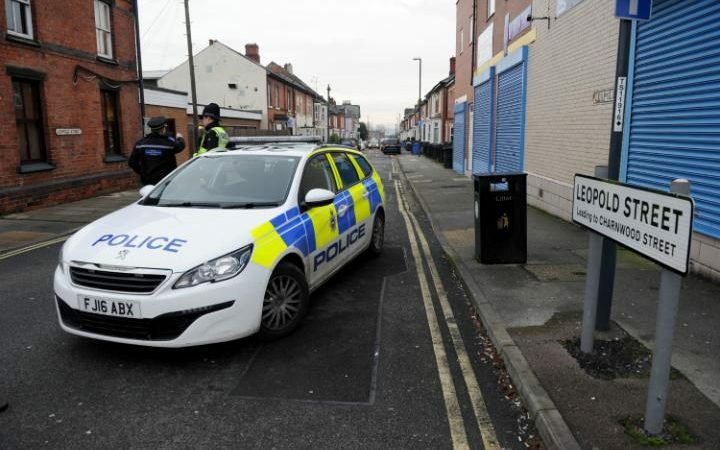 Several hours later armed officers moved into the Normanton area of Derby, close to the city centre, where they raided a semi-detached property, which was thought to consist of four rented bedsits. The property is just half-a-mile from the former home of British suicide bomber Kabir Ahmed. In February 2012 he became the first person in the UK to be convicted of "distributing threatening written material to stir up hatred on the grounds of sexual orientation." He was jailed for 15 months after he handed out leaflets outside a mosque showing a mannequin hanging from a tree in relation to gay people. In November 2014 Ahmed killed himself in a suicide bombing attack on a police station in Iraq. 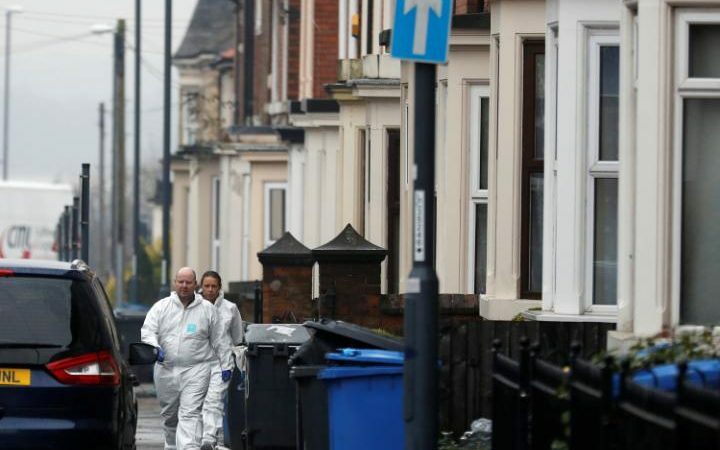 Residents on Leopold Street described waking up to find bomb disposal experts and forensic officers crawling all over the area, which had been sealed off by armed officers. While no adjoining properties were evacuated, locals leaving their homes were told to leave the area quickly and quietly while searches were taking place. The landlord of the house, Ravi Kumar, was unaware of the arrests when contacted on Monday night, but claimed that the property was occupied by an ever-changing list of asylum seekers put there by a housing association. Mr Kumar, who is the brother of Ashok Kumar, the former Labour MP who died suddenly at the age of 53 shortly before the 2010 general election, said there was a "constant change of people" and that the terms of the housing association's lease meant that he had little to do with them. Brett Granger, 26, who lives just yards from the scene, said: "I went to go to work this morning around 5:30am and had two men in army uniforms, a man in a white forensic suit, and a police officer who wasn't in uniform just outside the front of my house. "There was a huge white van and two police cars blocking the street from both ends. Police told me to leave the area quickly. "From what I could see and because of the army presence I assumed the huge white truck was a bomb squad truck. "When I opened the door I was a bit shocked as I only live a few doors down from where it was all happening. Scary to think things like this are happening so close to home." Local councillor Fareed Hussain said: "It's a shock to the system to hear of these arrests in my ward. There were terror-related arrests in the Arboretum ward around eight years ago but I don't think there has been anything since then. "The banned Al-Muhajiroun group were quite visible six or seven years ago and they were causing problems by preaching in the street and outside mosques in the city. "They were quite intimidating. However, we as the Muslim community, have not heard anything of them or other extremism activity for a number of years. 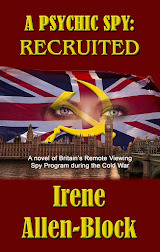 I think they have been driven underground and operating more discreetly." Other properties were also being searched in Burton upon Trent, around ten miles away and in London, where a 32-year-old woman was arrested. The investigation was being led by the North East counter terrorism unit (Nectu) supported by officers from Derbyshire, Staffordshire and the Metropolitan Police. In a statement, Nectu said: "All six arrests were carried out under terrorism legislation, meaning officers have an initial 48 hours to charge, release or apply for a warrant of further detention. The arrests are linked to International-related terrorism."